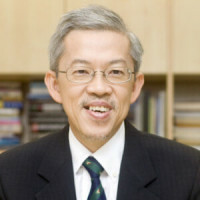 Prof. Wong Poh Kam is concurrently a Professor at the NUS School of Business, as well as Director for NUS Entrepreneurship Centre. He has published in numerous international refereed journals on innovation policy, industrial and competitiveness policy and technology entrepreneurship, and has also consulted widely for international agencies and many high tech firms in Asia. An entrepreneur who co-founded three companies prior to joining academia, Prof. Wong is now an active angel investor and/or board member of several high tech start-ups in Silicon Valley, Singapore, China and Malaysia. He was a Fulbright Visiting Scholar at U.C. Berkeley and a visiting researcher at Stanford University and KTH, Sweden. He received a Public Administration Medal (Bronze) from the Singapore Government in 2005.